Behind the Scenes With the Mc2 Butterfly Dress #WearableWednesday #wearabletech #DIY #Arduino #STEM « Adafruit Industries – Makers, hackers, artists, designers and engineers! While shopping for my niece and nephew last Christmas, I remember checking out the Project Mc2 dolls in the toy aisle at Target. Yes, they are from a TV show, but they at least come with some sort of STEM activity. Well, this week I got an email from one of my wearable tech students who happened to find a video on the making of character Adrienne Attoms Butterfly Dress. There’s a lot of pink fabric here, but underneath it all is a bunch of wires leading to an Arduino 101 board with Intel Curie. The butterflies on the outside of the dress utilize shape-memory alloy, so when current runs through the wire, they appear to flap. If you want a good explanation of this wire, check out this Makezine post by Jie Qi. Here’s an example of a paper Venus Flytrap she created. Intel’s New Devices Group was responsible for the dress and it’s exciting to see how many people collaborated, from engineers, to programmers and fashion designers. This is a great intro to tech and I’m sure young women are inspired to make their own wearables (or at least some for their dolls). If you want to help someone get started with a butterfly prom dress, we’ve got the Arduino 101 with Intel Curie. 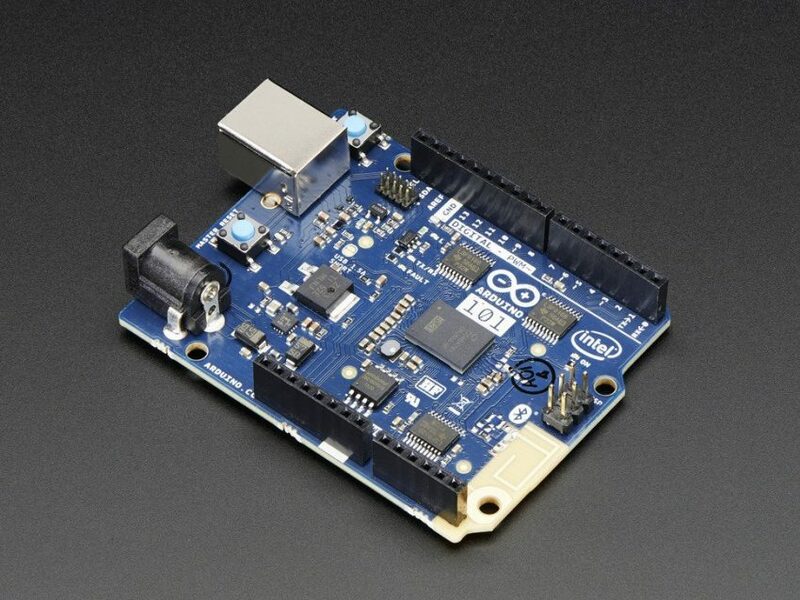 It’s the base of Arduino with some Intel magic including Bluetooth LE and a 6-axis accelerometer/gyro. That means a designer can even upgrade to IoT butterflies that tie into data about migration. Help imagination take flight and don’t forget to send pics of the fluttering gown!